Corona's extensive API library enables everything from animation to networking with just a few lines of code. Whether you're building games or business apps, you see changes instantly in the Corona Simulator and can iterate extremely quickly. Development is done in Lua, a lightning-fast and easy to learn scripting language. * Corona is a cross-platform framework that empowers developers to create 2D games and apps for mobile, TV, and desktop. * It’s designed to enable super-fast development – up to 10x faster than other platforms. Adding sophisticated features is easy using our elegant Lua-based APIs. * A streamlined workflow lets you see your changes instantly. And you can publish to all major platforms from a single code base. * Support all Major Platforms: Corona SDK allows you to publish for iOS, Android (including Android TV), Kindle and Windows Phone 8 from a single code base. Mac OS X and Windows support is coming very soon (both are in private beta). We'll take care of the heavy lifting related to device and platform fragmentation, allowing you to focus on creating exceptional mobile content. * Leverage Industry Standards: The Corona platform is built on industry standards including OpenGL, OpenAL, Box2D, Facebook, SQLite and much more. Our state-of-the-art graphics engine, based on OpenGL 2.0 and shaders, enables cinematic effects with just a few lines of code. 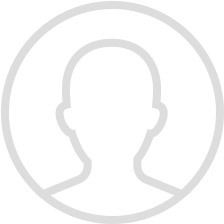 * Monetize, Grow, and Prosper: We want you to succeed. That's why we support in-app purchases, a variety of ad networks and other monetization models. * Our parent company, Fuse Powered, is one of the leading mobile monetization platforms. Corona SDK has been around for a long time and it has become one of the most used SDKs for mobile games, mainly among indie companies or individuals. It uses the Lua programming language which is easy to learn and easy to use and it comes integrated with a lot of third party tools that will help you in your developing adventures. Corona is also free at the time of writing but it is closed source so, you won’t be able to tinker with its code. 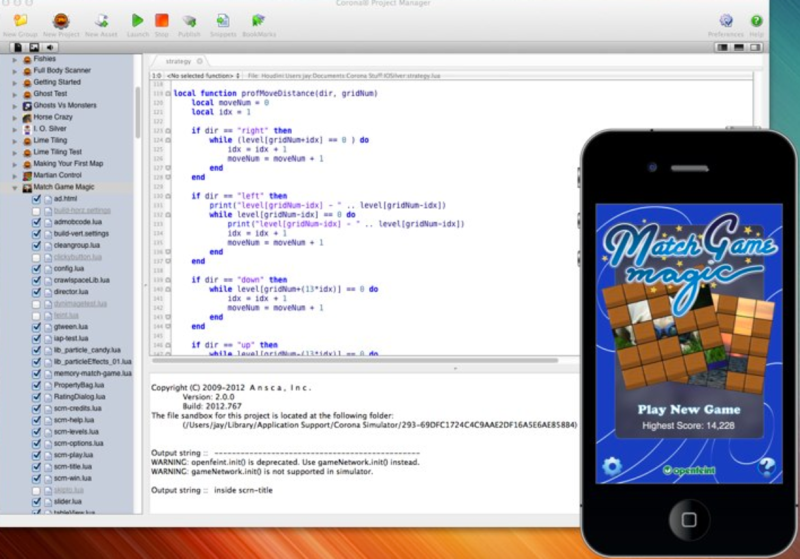 Corona SDK is a complete toolkit to create mobile games. Although it can be used to develop other kind of apps and platforms, Corona SDK excels for the game development tools and almost everybody using Corona SDK is doing so for Mobile games. It comes bundled with a lot of third party tools that will allow you to develop a game in all its extents, even graphic creation. Although, you may prefer to use other software of your choice and import the assets as well. This looks very good but the problem is the third party tools are not very well maintained or supported and some of them are a just one man show so, if the guy goes on vacations, you will get no support at all. It uses the Lua programming language that is very easy to learn and very easy to use. If you are new to programming or coding and you want to start somewhere, Lua is an excellent choice. It is easy and the syntax is much simpler than other “more serious” languages like Java or C. The main problem with the simplicity is that doing certain kinds of things can be more difficult with Lua and if you are used to OOP with serious languages you may feel like you are using a very outdated programming language or an overly simple one. The choice of Lua is due to Corona SDK being made for everybody to be able to publish games with, so they decided to use an easy programming language that is very accessible for those who have never coded. So, even though it is recommended for beginners, those who want to later move to other programming languages should stay away from Lua because many things you learn to do in Lua will not be useful for other programming languages. However, they work for Corona SDK and you will be able to deploy successful projects with this language. Corona SDK is known for its really fast deployment rate. Making games in Corona and Lua is much faster than other languages so it is very useful for small projects or for prototyping. Prototypes can be done in a matter of a few days and even full games can be done really fast. The fact that you can port your projects to multiple platforms is another feature to consider. Everything you make in Corona can be exported to iOS, tvOS, Android (including Android TV), Amazon Kindle, Windows Phone 8, Mac OS X and Windows Desktop. 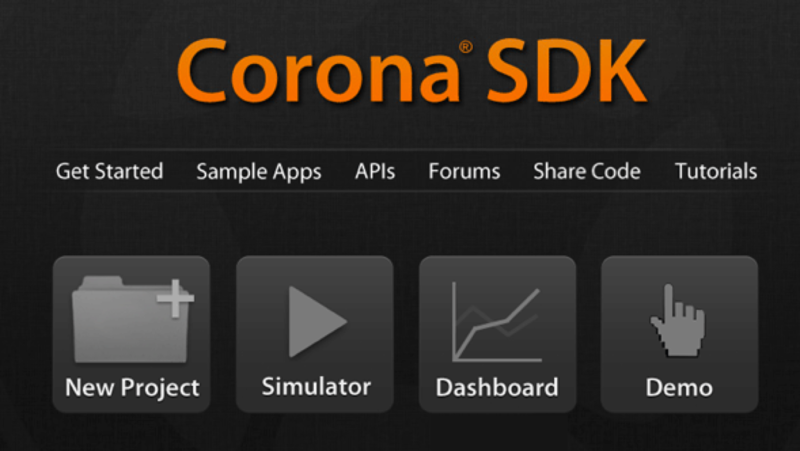 We said Corona SDK is free before, but only the basic version is free. The Enterprise version costs $79 per month or $199 per month depending on your revenue. Actually almost all the functionality of Corona SDK is available for free, only the use of native libraries is restricted to the enterprise version and also the basic version needs to stay connected to the internet at all times because it has no offline builds. The device tester is something to mention. It is really fast to use and to learn and is something you will definitely need if you plan to make a mobile game. It can be tough in the beginning but once you get the hang of it, it delivers very good results and it is also included in the basic plan which means it is free. The third party tools for Corona are just great. They are free and they can do anything you need for your game from graphics to sound and they integrate very well with Corona. The only problem with them is the lack of support for many of them, but for most of the time you aren’t going to need any support for them anyways. The community around Corona is huge. There are many developers using it for mobile game due to its simplicity and soft learning curve. There are hundreds of tutorials for both Corona and Lua and the latter is very easy to learn if you come from other programming language. Actually, if you can already code in any language, getting into the swing of things with Lua should pose no threat to you. But that doesn’t work the opposite way, if you learn Lua you will have a hard time trying to learn other programming languages with more “substance”. Lua language is very easy to learn. What you learn in Lua, stays in Lua. Can’t really use your knowledge for other programming languages. Corona SDK has been around for a long time--and for a good reason. Good games can be implemented with it and the learning curve is very soft so it is a highly recommended SDK for beginners with no prior experience in coding. Lua is definitely easy to learn and to use so, if you are scared of scripting languages this is a good choice as well. Prototyping can be done very fast and once you have the code working you can export to many platforms. The only big negative about Corona is the fact that Lua is not a “serious” programming language and whatever you learn to do in Lua is likely to be done in a different way in other languages so, you can’t use that knowledge if you move out of Lua.